Let’s quit dwelling and whining for a moment and look at what’s going right. Thanks to a new anime season, I’ve been getting a lot of episode reviews done lately. Even though I told myself I wouldn’t do it, I put my name down for two series, Wake Up, Girls! and Silver Spoon Season 2 (click the links for my most recent review). While Silver Spoon was a given since I reviewed the entire last season, Wake Up, Girls! caught my interest, and even though it’s not as good as the other show it’s been fun to analyze it each week. I’ve also been getting some manga reviews done, though not as much. My most recent one is Pink by Kyoko Okazaki. This was an odd story, and I had a difficult time with the review. But, I think this might be the best one I’ve written recently, partly because I’ve been trying very hard to practice the art of Not Spoiling Anything when I write up reviews. I think I succeeded? For writing-writing, I finished rehashing an old manuscript, and I’m letting it ferment for a little while before printing it out and doing some heavy edits (I’m also out of printer ink, so I gotta wait to get more of that, too). Meanwhile, I’ve been working on a few short stories, which range in doneness from fine tuning to a typo-ridden mess. One, a fantasy-ish story, I’ve sent out a couple times, and though it’s been rejected, I got a very encouraging personal rejection from a big fantasy magazine, which made me more happy than disappointed. I have a lot of books. I remember I used to keep track of my manga, which was up in the hundreds, and that’s not counting every other kind of book I cling to. I knew the pain of lifting boxes filled with those books when I moved with my parents into their current home, so when I moved out for good I knew I couldn’t take everything; forget that they wouldn’t have fit, I’d have died before I got them all up the stairs. For the first time, instead of ditching a couple books here or there that I wouldn’t read, I was determined to get rid of whole chunks, a significant amount. Some novels, yes, but also manga series I had never finished, would never return to. This went completely against my nerd-tendency to cling onto all the things I’d collected. But I needed a little more space and breathing room to move on with my life, so those things had to go. Lately I’ve been piling up more books to get rid of. Some of them were review items which I had no real attachment to anyway, or cheap used books that piled up from my stint in a used bookstore. Others were novels or even some books from college days which I knew I would never read again. Then there was my manga collection again. I’ve mostly confined my collection to one bookshelf, though it’s double stacked, and I’ve got stuff on the top as well. But there’s also stuff that has spilled over to the floor, no place for it to go. Looking through it, I’ve basically whittled it down to things I don’t think I’d get rid of: Emma is too precious, Fullmetal Alchemist still stands as one of my favorite things. If I haven’t finished the series yet, I’m still determined to, like with Hoshin Engi. There are some that I’m reviewing that I’ll likely get rid of once I get to the end, or for whatever reason cease to review, but I’m hanging on to them for now, on the unlikely chance that I need to go back to the beginning to check…something. But there are others that I’ve realized I’m never going to complete, I’m never going to reread…and they had to go. I brought a couple of series to the library I work at yesterday, to see if the librarian in charge wanted them for the young adult shelf. She did. Which is great: they’ll have a shelf to live on, where people who want to read or reread them can take them out. But as she brought them out back to get put in the system, she passed me and said, “They’re off to get stickered, say goodbye!” And I almost said, no, stop, I changed my mind, give those back. Because even though I haven’t read them in years, they were things that have been around with me for a long time, moving to college, and home, and away again. I was clinging to them, even though I couldn’t remember the last time I’d cracked one open, or the last time I felt like I might want to. My house is too cluttered. I want clean shelves and open floors. And someday soon, we’ll move again, and if I’m going to be lugging something up and down stairs, and taking the time to find it a home on a shelf, I want it to be something I know deep down is worth it to me, not just because I used to love it, but because I love it now. I fell a bit behind on updating on new reviews — sorry! Over the past week on Fandom Post two of my reviews went up: Kamisama Kiss volume 10 and Kamisama Kiss volume 11. Though I have some minor recurring issues with this series (plot, what plot?) 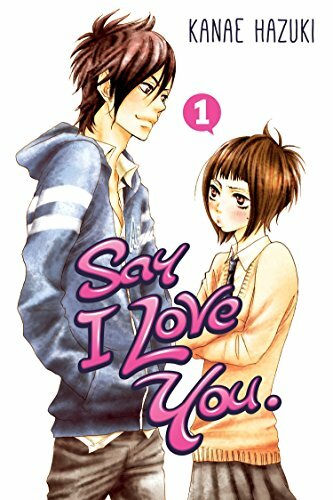 I think it’s one of the better recent shojo manga and I’m generally filled with no small amount of delight while I read it. Check out my reviews (linked above) to see everything I had to say about them. A new batch of books should be on its way from The Fandom Post, so I should have more reviews going up in January. New reviews for this blog will come, well, eventually. Last week the new installment of my Manga Bookshelf column, Comic Conversion, went up. This time I compared The Infernal Devices: Clockwork Angel by Cassandra Clare with the graphic novel adaptation by HyeKyung Baek. I’ve enjoyed Clare’s novels in the past, so I was excited to finally take a look at this series, which is a prequel to The Mortal Instruments. I had problems with both iterations of the story, but check out the article to see which one I liked the best. I have a few more ideas for future columns (The Last Unicorn by Peter Beagle and Uglies by Scott Westerfeld) but if you have any other suggestions, please feel free to leave them on this post or on the article itself. I’ve heard vague recommendations for Puella Magi Madoka Magica, that really it’s good, that it’s something different, but at first I had a hard time believing it. Looking at the cover, these magical girls have the generic cute appearance, and the plot doesn’t sound too out of the ordinary. Madoka Kaname is a normal girl, nothing special about her, blah blah blah, until one day a mysterious girl named Homura shows up in her class, warning her to never wish to be different. Then a cat-like creature named Kyubey shows up, telling Madoka and her friend Sayaka that he can grant them one wish, anything they desire, in exchange for become magical girls and fighting witches. For the first two thirds of volume 1 I felt like I was reading a cheap, if interesting, version of Cardcaptor Sakura or Sailor Moon. Then the story turns gruesome as Madoka and Sayaka witness a brutal death at the hands of a witch. The story takes even more twists as the price for the wish turns out to be steeper than Kyubey implied, and the wish itself is a monkey’s paw, sometimes bringing even more grief on the magical girl than she meant to even heal. Throughout both volumes Madoka struggles to come up with her wish, but as time goes on Homura’s warning seems more and more like the wiser choice. Of course, you know that she’ll become a magical girl — Kyubey seems determined to get a wish from Madoka, and it would be disappointing if, in the end, she didn’t become the heroine of the story. At the end of volume 2 it’s still unclear what the deceptively cute critter’s ultimate goal is, but I’ve tossed out all my misgivings. The candy-cute covers hide a dark story, and I’m anxiously awaiting the last volume. Review copies were provided by Yen Press. 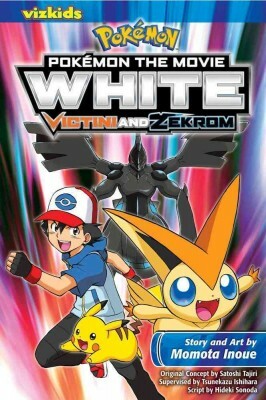 I’m a little late bringing this up, but my review for the Pokémon The Movie: White: Victini and Zekrom went up on the Fandom Post last week. This was adapted straight from one of the movies, which I think gives a clue as to its overall quality, but it was still an OK read. Check out my review to see exactly what I thought!